With 39 seconds left in regulation, Burkhead rushed ahead for a 10-yard score to push New England in front, but with only one timeout and mere seconds to work with, Chiefs’ quarterback Patrick Mahomes marched Kansas City deep into New England territory to set up Harrison Butker’s game-tying 39-yard field goal to send the game to an extra period. 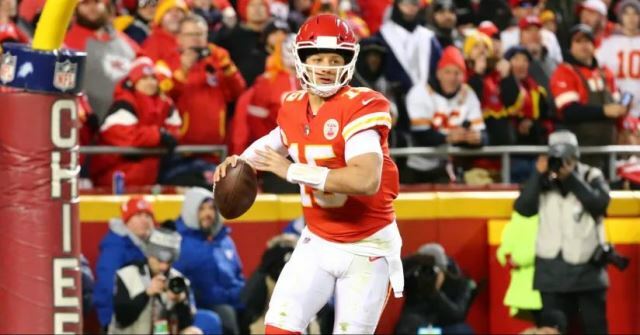 Two plays later, Chiefs’ quarterback Patrick Mahomes found tailback Damien Williams on a 23-yard scoring strike to put Kansas City in front for the first time all night. It was a short-lived advantage though, as Mahomes marched Kansas City down the field in just one minute and 29 seconds before Williams dashed ahead for a 2-yard score to re-take the lead. Burkhead was then in the end zone less than a minute later, but Butker’s kick knotted things up as the fourth quarter expired. The Patriots marched down the field on their initial possession to open the game before Michel plowed ahead for a 1-yard score. They appeared destined for a similar result on their second possession, but Chiefs’ linebacker Reggie Ragland stepped in front of Brady’s pass for his second interception of the year. The Chiefs found a way to answer following the intermission, as Mahomes led Kansas City on a 4-play, 74-yard scoring drive to begin the third quarter. The series was highlighted by a 54-yard strike to wide receiver Sammy Watkins, which led to a 12-yard touchdown pass to tight end Travis Kelce a play later. Kansas City was back in the end zone to begin the final quarter of play when Mahomes hit Williams for a 1-yard score to narrow the deficit to just three points. Kansas City wasn’t able to move the ball on the following possession, but just three plays later, Sorensen picked off Brady and set up Williams’ go-ahead touchdown. The two teams then traded the lead before Butker sent the game to overtime and Burkhead eventually sealed it for New England.